Nintendo is set to announce its latest financial results that will cover the past year, and it’s anticipated that, for the first time in its history, the company will record a yearly loss. It’s an obvious blow for Nintendo, particularly as the past five to six years have brought staggering success. Even the results for 2010-2011 — which were driven by ageing Wii and DS consoles — brought a profit of 77 billion Yen, so it’s unfamiliar territory for Satoru Iwata and his fellow board members. The loss isn’t a surprise though, with the company conceding that it was coming in recent months: it’s not a question of if there will be losses, but how big they’ll be. The latest estimate, announced in January, is that losses will total roughly 65 billion Yen, so perhaps recent success will be judged on whether the final results are better or worse than that estimate. On the surface, and for Nintendo’s rather vocal shareholders, this bodes ill for the company, a sign of troubled times. That doesn’t tell the whole story, however, as Nintendo has spent the past eight months aggressively retrieving the situation, setting changes in motion that it hopes will make the loss a one off. Not many of those changes have applied to the Wii, sadly, but that’s hardly surprising with Wii U coming later this year. It’s the 3DS that has been the focus of a planned revival: an aggressive price cut, the holiday release of both Super Mario 3D Land and Mario Kart 7, and a significant number of additions and enhancements to the handheld through system updates. When compared to the launch day system and catalogue, a fully updated 3DS bought today is a far more substantial and functional machine, with a number of quality games to buy from stores. These changes have all contributed to a revival in 3DS hardware sales, with over 15 million units sold according to the latest set of figures on 1st January. While additional functionality and online features help, however, perhaps it’s the mainstream franchise games that really set the tone for success. It’s a common perception that Nintendo games ultimately drive sales for its systems, and not necessarily technological bells and whistles. The announcement that New Super Mario Bros. 2 will hit 3DS just nine months after Super Mario 3D Land suggests that Nintendo may think the same. We’re going to test the theory out and see how some of the biggest-selling franchise titles perform alongside their respective consoles, and what this could mean for the future software library, and Nintendo’s focus, on 3DS and Wii U. Please, Nintendo, can we have some more? Debates often rage about the range of games on Wii and DS, for example, as some will point to dozens of under-appreciated gems and boast of wonderful software libraries. Some of us Nintendo gamers like to think that our consoles mean more to others than just another Mario game. Debates often rage about the range of games on Wii and DS, for example, as some will point to dozens of under-appreciated gems and boast of wonderful software libraries. Despite this it’s a fact, to varying degrees, that the huge sales of those two consoles also correspond to significant sales of a few select first-party titles, figures that third-parties, no matter how good their games may be, can only dream of. Even more staggering is the ratio of console owners who pick up these titles, making them dominant in the console’s success. This is your statistics warning, but stick with us. Let’s take some figures for DS, all formally announced totals that were accurate on 1st January this year. The DS console has an incredible lifetime sales total of 151,060,000, so naturally there is a decent mix of software titles amongst all of those owners. New Super Mario Bros has shifted 28,740,000 copies, just under 20% of console sales, about one in five. The Mario platformer arrived in May 2006, while the original DS has been around since November 2004 (North American release), and that figure suggests that, actually, the flagship Mario platformer hasn't been heavily relied upon for DS sales. Pokémon Black and White, meanwhile, has sold 14,420,000 copies, which amounts to around half the Mario total at just under 10%. These figures suggest that even the biggest releases weren’t necessarily essential gaming on DS, meaning a diverse games catalogue being bought by a broad base of users. Does the Wii maintain the same trend? To date Wii has sold 94,970,000 units: not quite at the level of DS but still exceptional. The biggest selling Mario title is Mario Kart Wii, its 31,910,000 sales narrowly beating New Super Mario Bros. Wii: that’s 33.6%, pretty much one-third of Wii console sales. Not far off that level is Wii Sports Resort, the MotionPlus experience selling 29,870,000 copies overall, or roughly 31% of Wii systems. 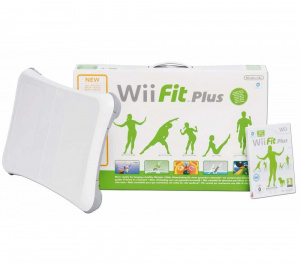 The balance board is similar, with around 36 million official Wii Fit peripherals being sold, over one third again. With Wii there’s a clear trend of the biggest selling titles dominating the software scene, and it’s not a stretch to say that this may make life harder for different IPs or smaller titles, in comparison to the DS. To go to 3DS, why are we preparing for a second Super Mario title in less than a year? Once again its potentially because, like Wii, the system owners are increasingly gravitating to big name releases in greater numbers. Earlier we told you that 3DS has sold just over 15 million consoles, so what games has that growing user base been buying? Super Mario 3D Land is the top-seller, with 5,030,000 copies sold, almost exactly a third of the console sales, while Mario Kart 7 sales of 4,540,000 aren't far away. The Legend of Zelda: Ocarina of Time 3D is also highlighted by Nintendo, its sales of 2,490,000 coming in at around 15% of 3DS sales, but still decent figures. When it comes to 3DS and Wii, major Mario titles or new experiences — targeted to be accessible or recognisable to all-comers — are increasingly dominant in software sales. The DS arrived over two years before Wii and it appears to be the case that its diverse library catered to a wide audience that spent its cash on a variety of different titles. The biggest sellers on Wii and, so far, 3DS tell a different story: key franchises and brands are making a bigger dent on the market and therefore becoming more important to Nintendo. While this may be considered short term on 3DS, the results for Wii, now well over five years old, suggest otherwise. The danger is that Nintendo, in order to secure continued success for 3DS and Wii U, will target a smaller number of franchises and game styles. We hope that this won’t be the case, but New Super Mario Bros. 2 is a perfect example of this policy coming into effect. Perhaps we shouldn’t complain, as Nintendo’s financial success will mean that it can continue to give us exciting systems and games, but these trends don’t bode well for long-term variety in our gaming libraries nor for third-party support. Time will tell, as will next year’s financial results, but Nintendo’s strategies may be going through a change. Maybe we’ll need to change with it. Good observation. Agreed. Although everyone likes Mario, as stated before, he is overused. I was also surprised with a second mario game in less than a year. Nintendo, this is good sometimes, but not always, if you know what I mean. I really hope that Nintendo does not go in the same direction as Activision. I want them to be innovative and daring, like they were (and still are). I would love to see some new IP's and other games (I really need a Metroid fix) instead of games that have Mario or Zelda in the title. We had a bit too much games of those series the last few months. Hm? I've always treated 3D and 2D Mario platformers as two different groups. They just seem to play very differently. This hardly seems to be a bad trend unless they suddenly announce another 3D Mario or 2D Mario platformer game on the 3DS within this or next year. I'm pretty sure that's not going to happen though especially with the increased user base at the end of this holiday season. With the Wii U coming out in the last quarter of this year, Nintendo is probably going to refocus a bit more of their resources on the new console. There's going to be less of a presence from them and more from 3rd parties. That trend however, has already started. Nintendo should really either publish a TOTALLY different game with new IP, or another reboot of an old franchise. Ice Climbers, anyone? I think they are getting to where they need to make better use of other first party Ip's that don't get quite as much attention, for some variety (but still having those big first party names). They need more games like, Metroid, F-Zero, Star Fox, and others (kind of got sci-fi crazy there, didn't I?). @TheSolarKnight Except the entire point (the ENTIRE point) of Super Mario 3D Land is that it plays like a 2D Mario...but in 3D. That's at least kinda different, but at the same time like the NSMB games. So NSMB2 feels even more uncreative, as not only is this like the game you just played, but without what attempts at creativity or relevence to the console it is on it had. They could sideline Mario for a while, maybe even Zelda, and work on resurrecting their other franchises; Star Fox, F-Zero, Custom Robo, Donkey Kong, even Metroid needs retribution after Other M. Then in a few years they could bring back Mario. No, we dont need more Earthbound. If that happened all the people who havent played any of the previous games would suddenly realise that the games are grossly overrated. There is no real problem. Nintendo has always relied very heavily on Mario but his success allows them to release other titles as well and it keeps them in the hardware business. @Geonjaha It doesn't matter about opinions, there's enough fans out there that it'd sell really well, versus the Earthbound release from 1995 It's a good move financially. as long as the games are kept high quality I have no problems with this and encourage it. Mario and zelda for example are timeless. tbh, there are quite a few software studios nintendo either owns, or works with that could quite easily help out developing nintendo`s IP`s. metroid, punch out wii, and donkey kong returns are all good examples of what can be done. even if these studios took on more staff specificly to help deal solely on nintendo franchises, it can only be a good thing. atleast this way nintendo`s inhouse devs aren`t rushing to meet deadlines in order to go from one project to the next. Dear God! Where is there going to be a new Metroid title for the 3DS? I mean really!? Even a side scroller with the 3D interface playing with different depths of field, like Mutant Muds...that would be amazing! Super Metroid redux perhaps? Nintendo can you hear me? PLEASE RELEASE A NEW METROID TITLE FOR THE 3DS!!!! Well, it can be expected that their will be some losses, due to the global economy. We all know Nintendo will rebound of course, they just need to find a way to regain the casual gamer and a smarter marketing strategy. Launching the "3"DS with that name confused many, and not many good games deterred sales but obviously the DS had slow sales originally due to the fact that the 3DS had better first year sales than it. i think there still fine, though ya they do over use Mario ALOT, but only in the way that they throw him at everything BUT platformers: rpg's sports, party games etc. BUT he is the maskot after all, what else would you expect? I personally would LOVE to see Luigi more in stuff again, and of course with an announcement of Luigi's Mansion 2, I'm stoked!! Also, Kirby's 20th Ann. Collection coming and Kid Icarus Uprising just released, Nintendo seems to be focusing more so on there other great franchises more so than ever before. I just want to know what they have Retro Studios working on. People are looking at this as Mario,Mario,Mario but there are a number of people out there who have waited 6 years for a real NSMB 2. As I've said on other sites, Nintendo wants to get these releases out of the way because they will sell until the 3DS is replaced. I'm not too concerned about Mario's 3DS presence going forward. Like with the DS, I see Nintendo using Mario as a means to get the 3DS of its feet and develop a sizable lead on its competition, which already looks to be happening. Nintendo's (wildly successful) handhelds always become much less dependent on 1st party titles as they get further along in their lifespan. Super Mario 64 DS was a launch title, and then New Super Mario Bros., Mario Kart DS and Mario & Luigi: Partners in Time all arrived within about half a year of each other early on in the DS' lifespan, and after that deluge, Nintendo was far less reliant on the plumber to sell their handheld. Partly because most big Mario games (namely Kart and the platformers) usually have great legs; they didn't need to spend any more of their resources on sequels, because even now, those games are still selling. Of course we'll see the obvious spin-offs, a couple of RPGs and maybe even another platformer or two after NSMB2, but they'll be spread over the next 5-6 years. And don't forget, a lot of these 1st party developers will be switching gears to WiiU soon, if they haven't already. Now that 3rd party developers are assured that the system is here to stay, we'll be seeing more and more interesting non-Nintendo games hitting our screens going forward. If the 3DS is anything like the DS was, that is (and I think that will indeed be the case). We'll see what happens with the WiiU, though. Post-SNES, Nintendo has had to work it's big names hard to move home consoles and quality third party games almost always have a very hard time selling. Nintendo might lay low for a while after the launch window to try and give 3rd party developers a period where they aren't running up against big Nintendo titles, but it's also hard to imagine that the Big N isn't hard at work with new WiiU iterations for many of their various franchises. We need Ruby/Sapphire remakes for 3DS. That would make big money. If they want to sell 3DS units, hurry up with a 3DS exclusive Pokémon. Any main series Pokemon entry, be it a remake or brand new, would print money for Nintendo. I found it interesting when going through some figures (thanks @James for help) that Wii has shown a shift of select titles being bought up by more users, whereas on DS the likes of New Super Mario Bros didn't have quite the same impact. I did cringe when I saw the announcement for New Super Mario Bros. 2, as it seems very likely that New Super Mario Bros Mii (or whatever it'll be called) will hit Wii U early doors. 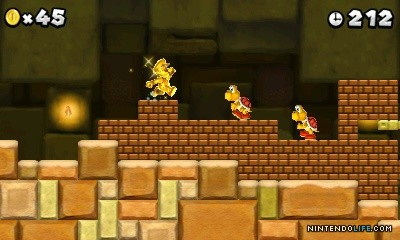 DS was two years old when NSMB hit, but 3DS is getting a bit of Super Mario overload. I love Mario games, but I'm worried it'll all get repetitive if more Mario sequels hit in another 12-18 months, and hope that won't happen. Over saturation is possible, even with Mario. Well Gen 6 wont be for like another 4 years yet. One problem with those stats: All the people like me who by ourselves count for THREE "DS family" system sales, but only one Wii and 3DS sale apiece. Face it: DS sales numbers are inflated due to redesigns, which brings the ACTUAL sales percentage for NSMB much closer to the others than you claim. At least Nintendo isn't going through this alone. Sony lost over 6 Million Dollars. Nintendo's new IP's are great. However, Nintendo is afraid of sending in New IPs on the shelf. Thats why they love sending IPs to their e Shop. Pushmo, Rolling Westarn, and the DSiware service has tonnes of new games, to go with the "Express" titles that most were recent IPs. Lets not forget about the e Shop now. @Stuffgamer1 That's a fair point actually, as figures are generally under a 'DS family' banner. The redesigns of DS may bring the figures closer, as you rightly say, but I still suspect that Wii and 3DS may be showing that shift where certain brands and titles are even more prominent. It's worth bearing the DS re-models in mind though. Before everybody gets all doom and gloom, we should repost that story revealing that Nintendo has more money in the bank than Scrooge McDuck and Richie Rich combined. I referred to shareholders in particular because, regardless of stockpiles of cash, they don't like seeing their share value go down. Nintendo will be hoping the loss is a one-off, whether it is depends on lots of things, including the Wii U launch. I'd say that even if it makes another loss next year, Nintendo will still be a force to be reckoned with long term, because of all those spare funds. I'm curious as to how much Nintendo has spent these last few years on R&D and its impact on the overall losses. 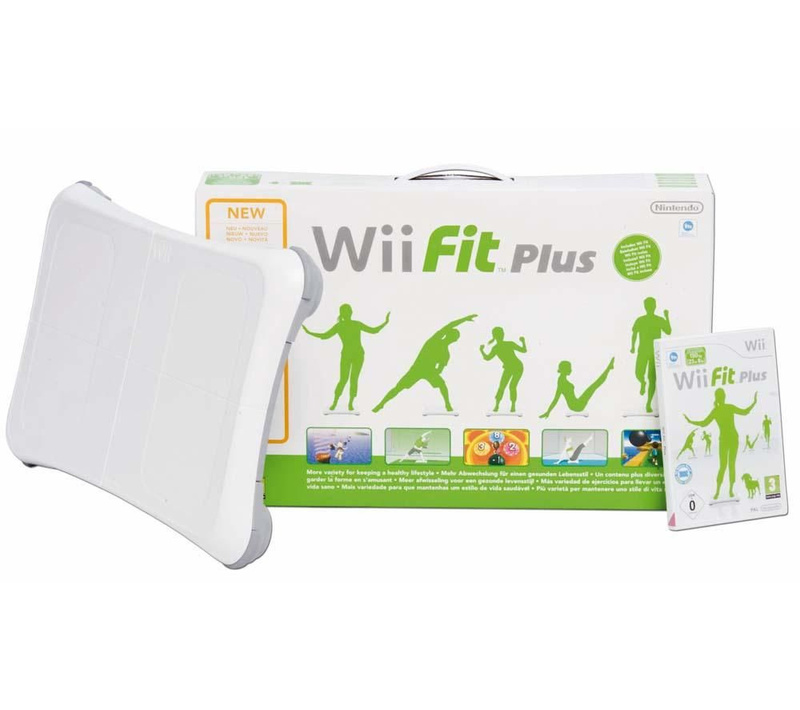 Its my guess that their R&D budget ballooned, almost too late, when they (finally) realized that the Wii (and DSi family) were aging horribly and quickly. Nintendo, as amazing as i think they are, i think that creatively they have to plug and promote more of their lesser known franchises such as F-zero, fire emblem, advance wars to name and make more new ones. they can't keep on churning out just mario titles. E3 is not going to be an interesting affair, but it is one where what with the release of the wii U this year, Nintendo has to go all out and really push themselves harder than before as a developer, in addition to enticing third parties to put their games on the system. but as long as they are still doing well in japan, which they are with the success of the 3DS, i won't be too worried about Nintendo. I wonder what they did so wrong this time around that it lead to a yearly loss for the first time in the companies history. Whatever it is I don't think it's very good business regardless of how they're going to try and justify it. Yeah. i've seen Nintendo making some of the best selling games come out again like Kid Icarus. Hopefully they'll make something like Pimpkin 3 or something. I've been hearing its cancelled and then its coming out. I could kind of understand the rise in traditional IPs because of the loss, but the fact that I am not excited at all about NSMB2 speaks volumes. Nintendo needs to make sure they not only don't overplay Mario & friends, but focus on new IPs or reviving lesser known ones and promoting them like they have with Kid Icarus. Seriously, when is the last time we have seen any sort of effort in advertising with Nintendo before Uprising? Hopefully they will keep their approach they used with Uprising and promote other titles they have in the bank. They also need to not take too much spotlight from third-party games though, they NEED Big 3rd-party titles this time around. Nintendo gamers primarily buy Nintendo consoles for Nintendo's games, and it looks like that isn't changing anytime soon. Give me a new eternal darkness and fatal frame five. They should release Luigi's Mansion 2 for Wii U! I can't believe I'm saying this, but I'm starting to get a little tired of Mario. We need to see other games for a change. Here's another observation: there have been four different models of DS over its lifespan. I have bought each iteration, including replacing a broken Lite, for myself along with two (Lite and DSi) for my girlfriend. I believe part of the reason DS has sold so many units is due to all the upgrades that have been made and then purchased by people who already have a DS. On the other hand, the Wii has had only one noticeable iteration (there is now a downgraded model that can't play GC games anymore). The fact that it sold so well despite being the same machine inside and out for five years says a lot, but I think it could have done better with a few upgrades here and there. My point is that the DS first party titles would probably be closer to that 30% had the DS stopped at Lite or even stuck with that awful contraption that was the original DS. So comparing Wii games and system sales with that of the DS may be slightly skewed since there were different circumstances for each. I do agree with this article for the most part though and will happily admit to owning each and every one of the games mentioned. Mario is awesome, I will always think that his games are the best of the best, but Nintendo needs to put more time into their lesser series. I would still like to see a revival of a new Donkey Kong 3D platformer. Heh, I just picked my DS Phat up yesterday and almost shed a tear at how beautiful it was. Different strokes etc! I honestly don't think there's a problem here, just a clever marketing strategy. Nintendo is getting out Mario games early in the 3ds life cycle. This way, they will sell over the whole systems life span. Then we will be lucky to see 3 mario games a year, or even 2. If this helps Nintendo get back on its feet, I'm all for it. New Super Mario Bros. 2 announcement was not surprising at all. And it will be a HUGE seller just like the first. 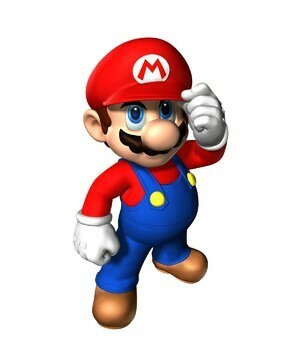 Let's face it, Mario3DLand took more talent/time/money to make, is the much better game, yet NSMB2 will crush it in sales. Nintendo had a bad year because the last 4-5 years they have had amazing years. Not worried about a major loss. I do, however, think the WiiU is going to be rushed. Worried about that. What is so wrong about another Mario game this year? It's only the second MAIN series game this year, with a decent gap between releases. ANd whats wrong with this? Seriously? Most people love the games and Nintendo is just trying to keep sales active until the Wii-U can stand on it's own two feet. I guess everyone just loves being in the "Nintendo just wants more money" bandwagon, to justify their own views and wants for other franchises to get more releases. I also think they are going to reserve New Super Mario Bros. series for 3ds/their handhelds. And then WiiU will have Super Mario Bros. 4 at launch. Actually I will almost put money on that. 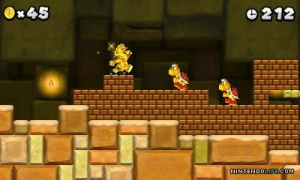 New 3d Mario game will be a couple years away as it is going to take A LOT to even try to top Galaxy. A return to Mushroom Kingdom would be sweet. A free-roaming adventures without levels. @sak904 I would LOVE it if they revived Ice Climbers. I don't really see Nintendo using Mario so much as a bad thing, Movies do sequels because they are an almost guaranteed success, which brings in more money so that they can make the more experimental movies. Same thing with toys, collectors hate the transformers repaints, but again that brings in more money and keeps the line going so that more original figures can be made. So Nintendo makes more Marios and Zeldas, that only brings in more money so that more original games can be made. I'd say it's a good problem to have. Other consoles don't have such strong first-party support, if at all. These games usually deserve their sales, because they are of such high quality. Donkey Kong Land 3DS. Do it. I don't want too much of one game but whatever helps them get more systems in peoples hands. Personally, I think what Nintendo needs right now is stronger Western support to help push the 3DS and Wii U in NA and EU markets. The fact that Wii didn't have strong western support is what hurt it the most and when quality exclusive games did come, such as Goldeneye, they would sell much better then anticipated. 3DS needs this and so does Wii U. If these systems can have the variety and quality in 3rd party support and still have the awesome Nintendo first parties, they'll do very well. THE Super Mario Bros. 4? I think Nintendo is just getting those "evergreen" titles out there to maintain good sells for the full life span of the system. So we won't be getting to many mario overloads in the coming years,...I hope.